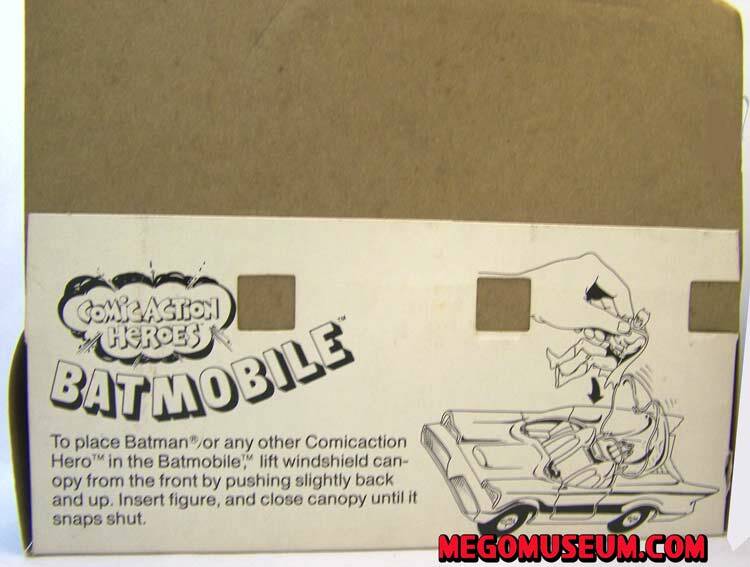 The Comic Action Heroes Batmobile set was released in 1978 and only for that one year. 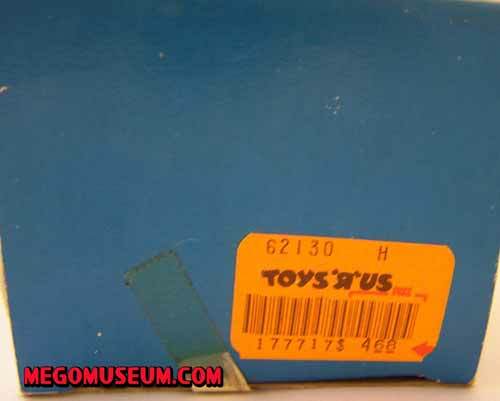 Production must have been light because this item remains one of the most elusive Mego pieces made, less than 3 are known to exist mint in box currently. 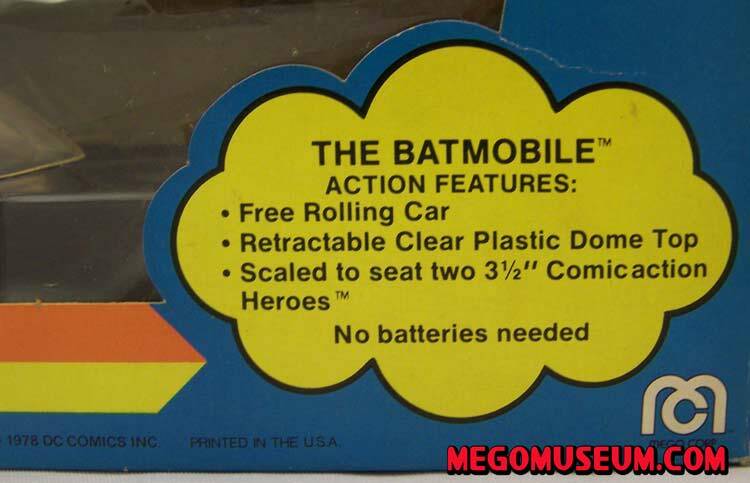 In 1978, Mego discontinued all of the Comic Action play sets but still offered the Batmobile and the never before producedSpider-Car as gift sets. 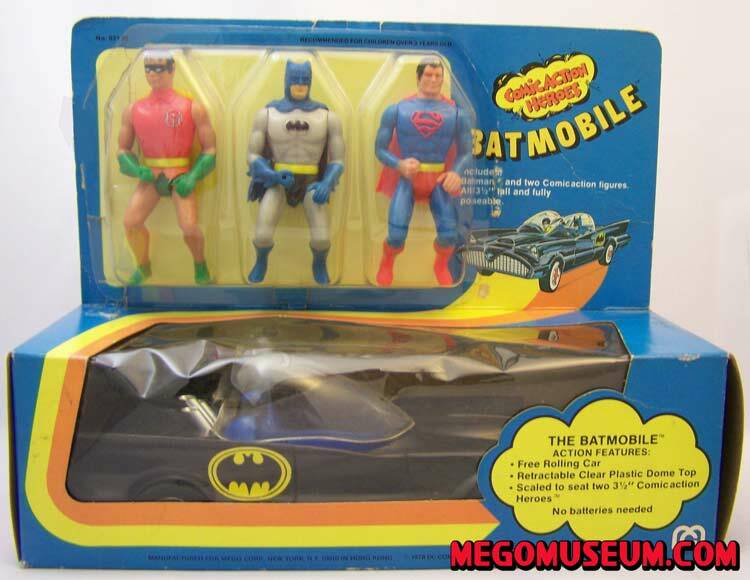 They must have been popular as Mego continued the vehicle gift set with the Pocket Superheroes a year later (Although they trimmed it back to two figures) and sold them in different forms until the companies demise. 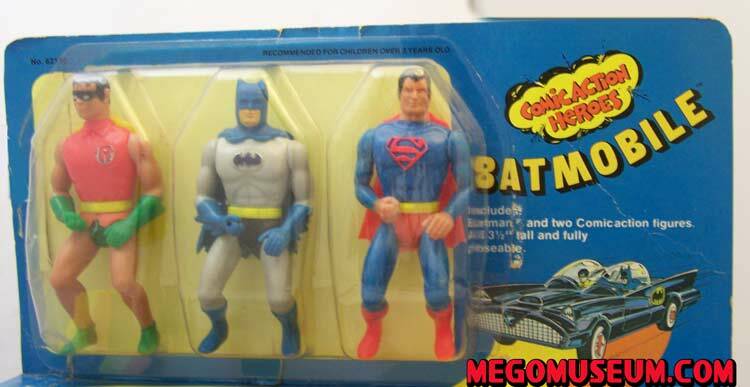 The figure selection can vary on these, they always include Batman but sometimes also have Wonder Woman or Shazam in the mix. 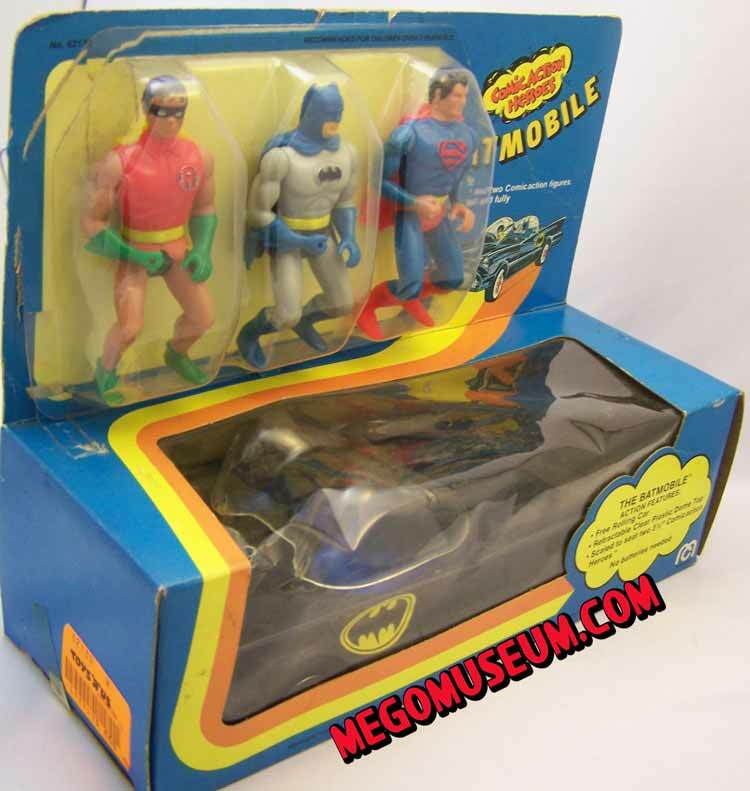 Mego might have been clearing out excess figures with this set. The original price is a shockingly low $4.68, whoever bought one of these and put it away would get a wise return on their investment.